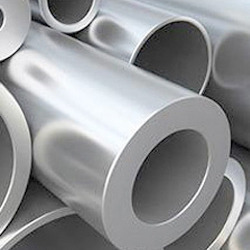 Stainless steel pipes,tubes,fittings,flanges,fasteners,rods,bars,plates and sheets etc are supplied in different grades like 304, 304L, 309, 310, 310S, 316, 316L, 316 TI, 321, 410, 430, 904L, etc. Offered in various dimensional specifications, these SS products find ample usage in various fabrication and engineering projects. These products are carefully designed and manufactured under rigid quality control procedures to ensure high precision and dimensional accuracy. 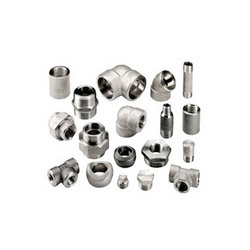 Our range of stainless steel forged pipe fittings that we offer is made from stainless steel and is attuned to meet the clients’ expectations and needs. The various grades of steel that are used by our manufacturers’ includes. Stainless Steel : ASTM / ASME SA 182 F 304, 304L, 304H, 309H, 310H, 316, 316H, 316L, 316 LN, 317, 317L, 321, 321H, 347, 347 H.
We offer an assortment of stainless steel flanges that are widely used in many industries. 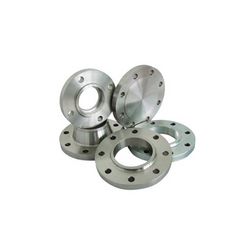 Our SS flanges are available in different technical specifications which conform to.Various grades of SS flanges that we trade are as follows. Grade: F 304, 304L, 304H, 309S, 309H, 310S, 310H, 316, 316TI, 316H, 316L, 316LN, 317, 317L, 321, 321H, 347, 347H, 904L. 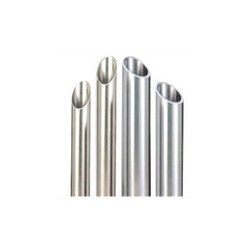 We offer to our clients a comprehensive range of SS tubes, which are made from superior grade stainless steel. The grades the we mainly deal in are. Grade: 304, 304L, 304H, 309S, 309H, 310S, 310H, 316, 316TI, 316H, 316L, 316LN, 317, 317L, 321, 321H, 347, 347H, 904L. Our traded products also include stainless steel pipes that have gained huge appreciation for their host of qualitative features. These stainless steel pipes are widely used in varied industries. Sizes: 1/8” NB – to 36” NB x SCH10, 20, 40, 60, 80, 100, 120, 140, 160, XXS.